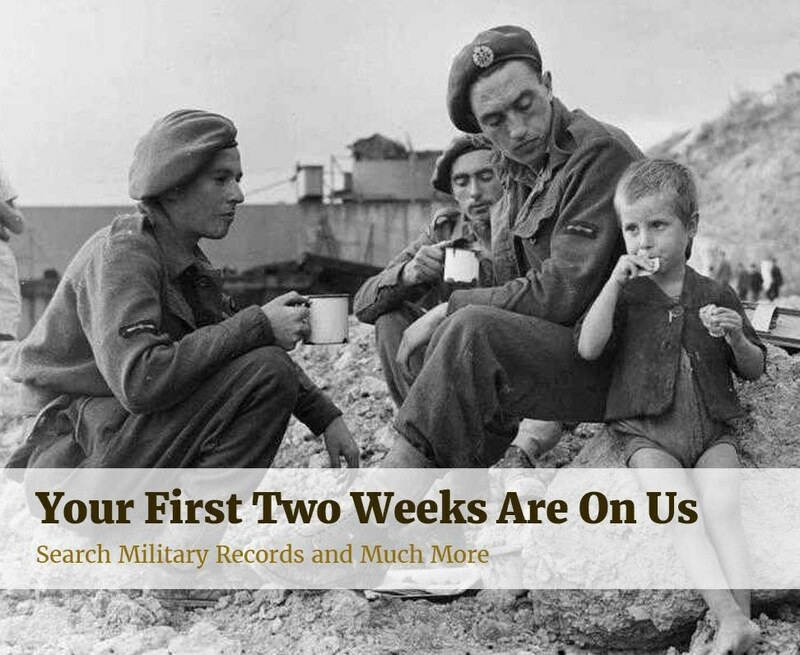 With over 71 million global military records and counting, Findmypast is without doubt one of the best places you can come to when you want to discover serving ancestors. This guide will show you the main records to look for and how to use them to grow your family tree. These records are usually very detailed and can reveal information on your ancestor that you won't find elsewhere. You can delve into millions of service records from Britain, Ireland, Australia, New Zealand, United States and Canada within this category. As most families have a link to the Great War, this record collection is undoubtedly one of our most popular categories. There are over 80 separate record sets from all over the world in this collection. Highlights include America's World War 1 Draft Registration Cards, Ireland's National Roll Of Honour 1914-1921, the poignant All Australia Memorial and the fascinating WW1 Ships Lost At Sea, 1914-1919. 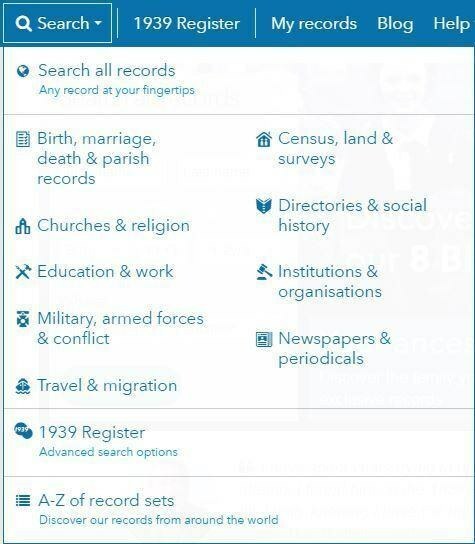 Although many World War 2 records are still inaccessible due to privacy laws, there are some resources available on Findmypast including casualty lists, US enlistments and an Army Roll Of Honour 1939-1945. 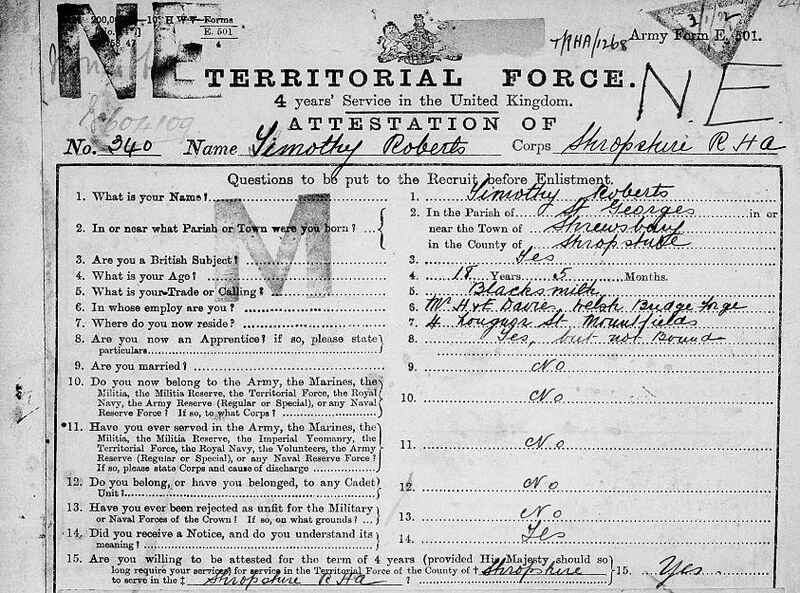 This category tends to contain service records from specific regiments or ranks including the Royal Navy, Royal Artillery and the Women's Army, as well records of soldiers and sailors in the American Civil War. Our vast military collections feature records from history's most pivotal conflicts including the Korean War, Spanish Civil War, War of 1812, Falklands, Vietnam and the Napoleonic Wars. If your military relative was awarded for their bravery you could find them amongst Britain, Campaign, Gallantry & Long Service Medals & Awards or The London Gazette, Supplements August 1914 - January 1920. This category includes fascinating records from Ireland's tumultuous history of rebellions including Easter Rising & Ireland Under Martial Law 1916-1921 and 1798 Claimants and Surrenders. You'll find military collections documenting the Anglo-Boer War 1899-1902 as well as a useful Anzac collection. Explore Britain, Enemy Aliens and Internees, First and Second World Wars to find out if your ancestors were suspected of being spies or interned by the British Government during either World War. 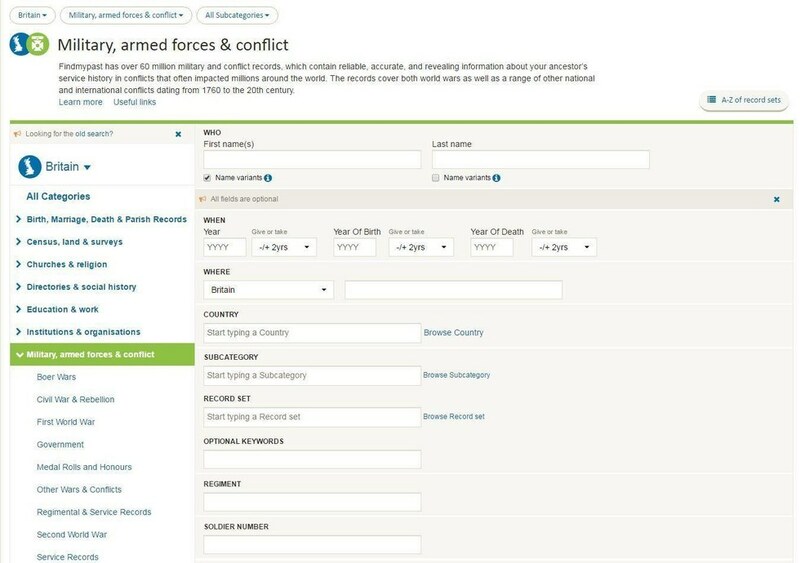 From there, you'll be taken to the dedicated military, armed forces & conflict category search page where you can enter information about your ancestor and search the military records. Our search page filters allow you to focus your search on a specific country or on any of the above sub-categories.